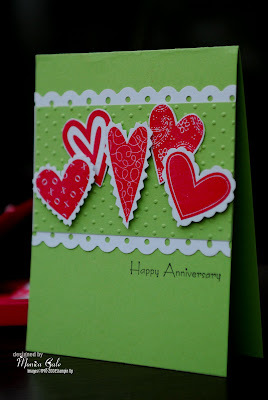 Numero uno SU Happy Hearts was used to make an anniversary card, really simple but striking made by the colour combo. All the cards in this set use the same or a combinations of those four colours Certainly Celery, Rose Red, Regal Rose and Whisper White. My most favorite combo for sure. 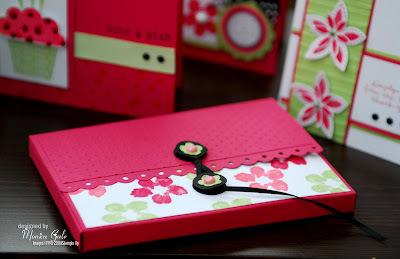 Used the scalloped border punch and the CB embossing folder. Sentiment from the Cheers and Wishes set. Second was a birthday themed one This sweet cupcake comes from the Big Bold Birthday by SU, and I ve used the hundred and thousands stamp to stamp my background straight on the card blank, some glitter was added for extra sparkle. 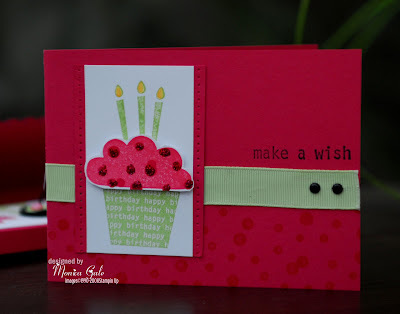 Third one a general one could be used for a couple of occasions I ve actually used pretty in pink for this card and is my least favorite, I think the background is too light and a bit unbalanced but I was running out of time and I was already late for the posting deadline. I hope my swapee forgets me. Set used is Cheers to You by SU. Number four was this little sweetie Now I likie this one a lot. A solid flower from the level three hostess set Heartfelt was stamped randomly in Cert.Celery, Reg. Rose and Red Rose my favorite accents some half backed pearls, and a round sentiment from the Circle of Friendship was created with the aid of the round punches 1", 1 3/8" and 1 1/4". Spotty dotty organza ribbon ( not SU) adds some punch to this gorgeous colour combo. 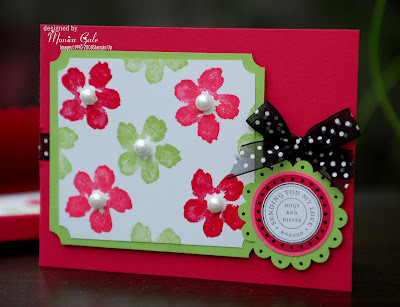 Last card is the most striking of the bunch I ve used the In the Spotlight hostess set and I love it!! 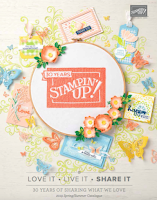 Is my most used one and is so versatile for cards as well as scrapbooks, sentiment from Simply Sent and the Cert. 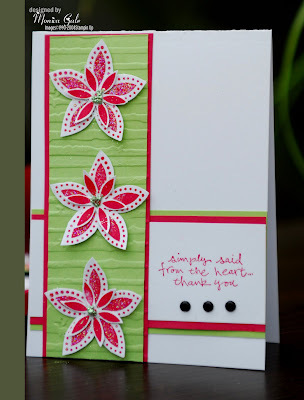 Celery layer was embossed with the CB striped embossing folder. 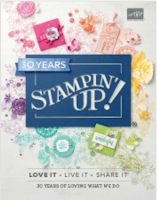 Beautiful card set! the box turned out adorable!! Great set of cards I would be happy to receive any one of them and overjoyed to receive all of them with the folder. all of these cards are wonderful -- but i really dig that first one. lime green and red!!! awesome combo!!! 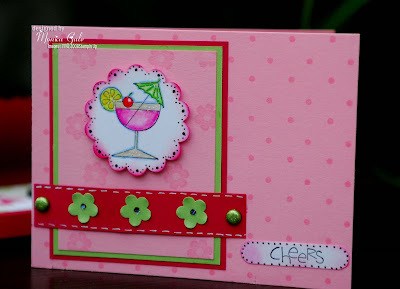 Fabulous collection of cards Monica! I was going to pick a favourite, but I couldn't - love them all! These are great, Monica. I like the green one with the hearts most of all! Great colourscheme. Fantastic cards as usual! I'm so envious of all that you do. Keep on doing it too.